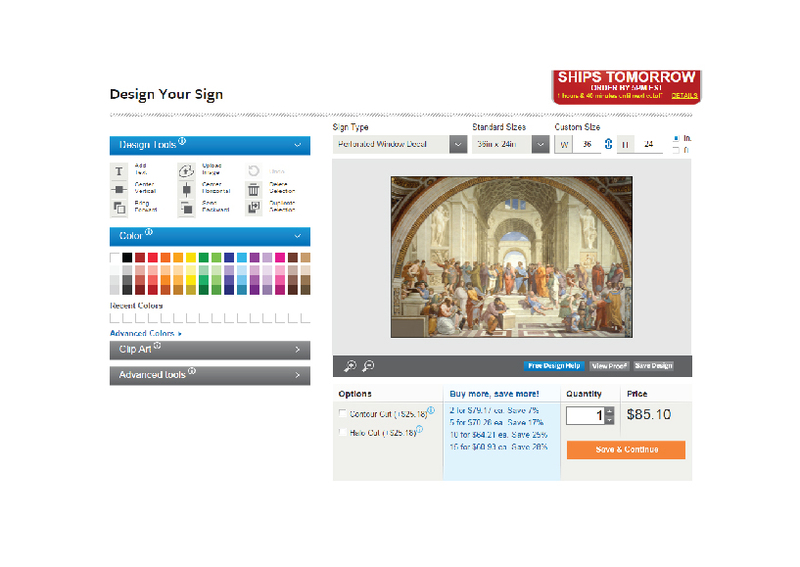 In today’s Signage 101 we discuss how to design and set up your image for a storefront display that is separated by window panes but still has the look of one continuous and stunning storefront image or display. Jump over here for an easy to follow guide on how to actually install your window decal(s). 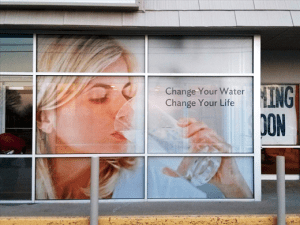 Decals that go across multiple windows or window panes are great advertising tools to showcase sales or business services. 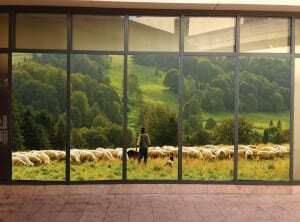 At Signs.com, we can make decals that go across multiple window panes. They are easily installed with two people and can make a big statement for any storefront. 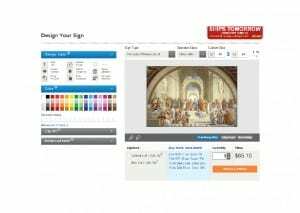 Ordering multi-window decals from Signs.com couldn’t be easier! Just follow our four-step process. Measure the full size (height and width) of your windows in inches. Do not include in your calculations the rubber and/or metal by the glass panes of the window. i.e. the exterior or outermost rubber/metal of the entire window. 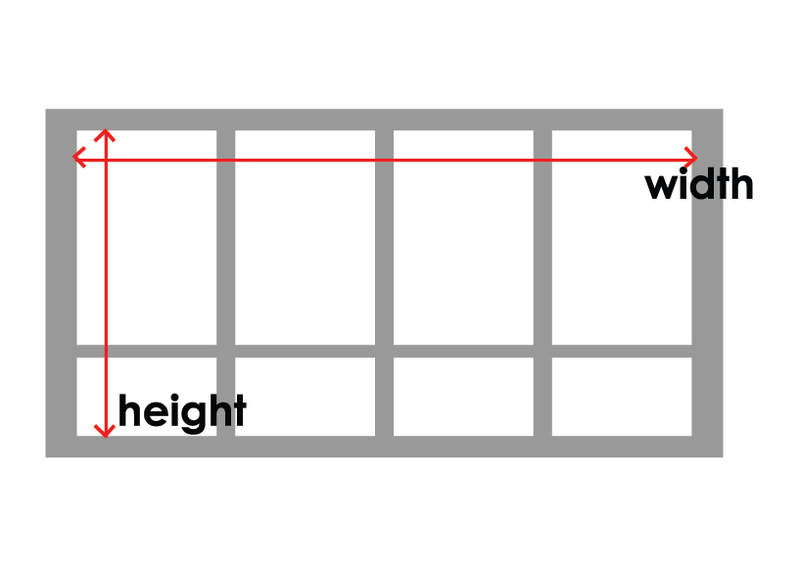 Measure each window pane separately, in inches. Do not measure the rubber and/or metal by the glass. i.e. 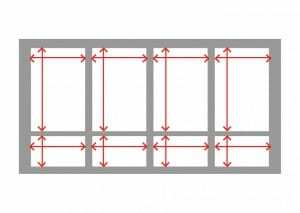 the interior window panes whether horizontal or vertical. 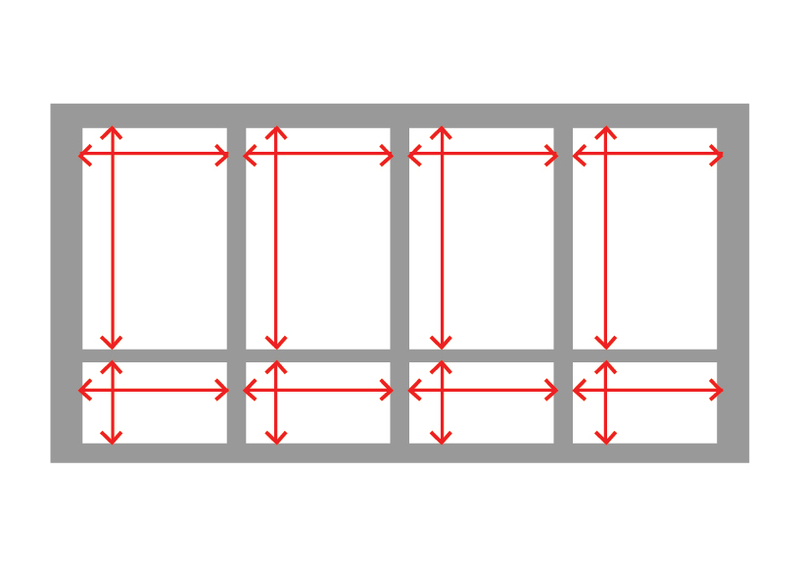 Also measure the rubber or metal in between each glass pane. We’ll need both dimensions to get you what you need. Upload your file to our design tool using the full window size from step one. Using our comment section during checkout (it’s just below the credit card fields on the checkout page as can be seen in the image below), leave us a note about the size of each individual window pane and the size of the rubber and/or metal dividers in between each window (from step two). That way, we’ll know how you’d like your design split up! Send your order our way, and we’ll take care of the rest! It couldn’t be easier. 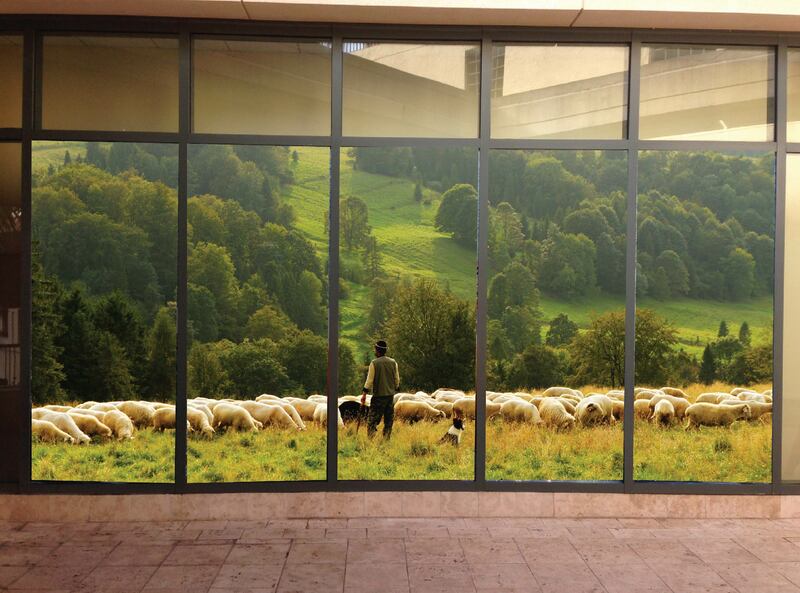 In the end, you’ll end up with a beautiful graphic that will look great in your window!